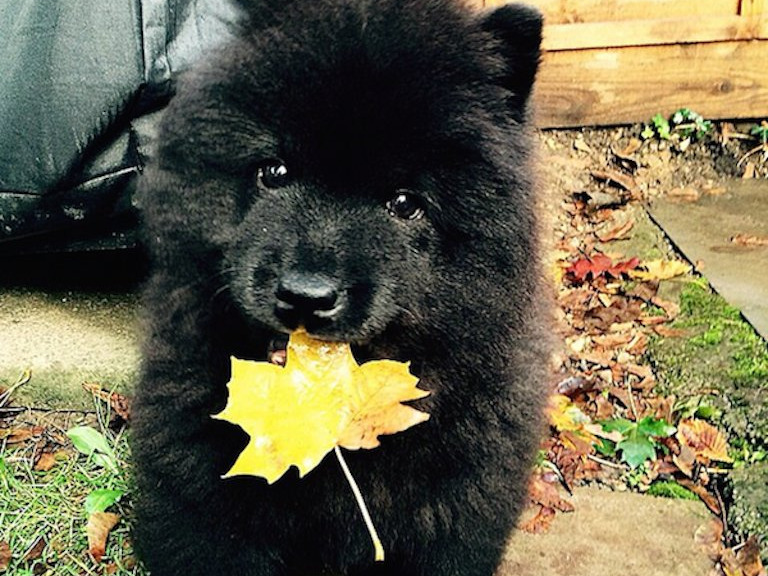 A designer Chow Chow with a massive social media presence was stolen Wednesday. Its owner, 29-year-old Jamie Green, says the dog’s newfound viral fame may be the reason Misiu was taken from Green’s Stanmore, northwest London home. Green spent the equivalent of $US2,500 on Misiu to surprise his girlfriend, Joanna Gluminska, only five weeks ago. One of Green’s friends posted a picture of Misiu on Instagram shortly after Green adopted the 3-month-old pup. From there, someone posted the picture on Imgur, the image-hosting website associated with Reddit. “Someone on Imgur put a picture of him up, went to sleep, woke up, and Misiu had 2 million hits,” Green told Business Insider. Green told us he and his girlfriend have been alone in his family’s house while his mother is out of town on vacation. On Wednesday, Green came home from work and noticed that Misiu wasn’t scratching at the door like he normally would. When he walked into the kitchen, he noticed the back window was smashed in and the back door was open, and when he looked in his backyard, he noticed the fence was broken. Misiu was nowhere to be found. The burglars did not take Green’s other dog, however. “I called the police and said, ‘There’s been a burglary, and I think someone’s stolen my dog,'” he said. Green told us that Misiu, which means “little bear” in Polish, and some of his mother’s jewelry were the only things the burglars took — no electronics or other valuables were taken. He says Misiu’s popularity likely was the reason Green was burglarized. But it’s unclear how a robber would have known where Misiu lives. “Misiu is loved by everyone, not just me. That’s why I made a Facebook page for him,” Green told us.